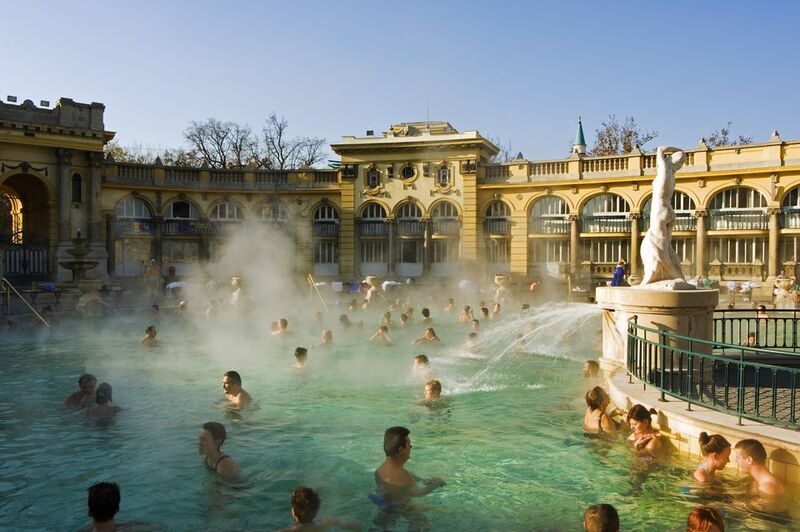 The region of Eastern Europe is still one of the most generally budget-friendly areas within which to travel, with destination cities much more affordable than those travelers frequent in the West. And while prices increase yearly, and Prague is no longer the crazy-cheap getaway it once was, even the least expensive cities are getting their acts together to appeal to travelers who want to stretch their dollars but still travel the world. Relatively few European travelers make it to Kiev, despite the fact that US residents are able to visit without a visa for up to 90 days. Kiev is an ancient city with plenty to occupy sightseers—its churches and monasteries are gilt-adorned beauties that make its skyline glitter. Transportation and hotels are affordable, though if you want to splurge, upscale dining and shopping are available. Entrance to some of most popular sights, including the Pechersk Lavra can run a dollar or two. So Bucharest isn’t Romania’s top city to visit, but if you’re flying directly into the country, you’ll likely land in the capital anyway, so why not spend a couple of days to sample what it has to offer? Food, hotels, transportation, and sights, are all on the low end of the scale. Bucharest is a good launch point for exploration of Romania’s more culturally rich and interesting towns. Another overlooked destination, Sofia is the capital of Bulgaria and continues to hold firm as one of the cheapest destinations in Eastern Europe. Though a few years ago Sofia had little to offer the casual traveler, that trend is changing for the positive. Sofia is finding itself and giving travelers something to talk about. However, visitors who don’t have to go bottom-of-the-barrel in accommodations will find they are more comfortable—those hostels and hotels offering the very lowest prices may do so for very good reason. Krakow is Poland’s top destination. Poland is recognized by those in the know as a country with great prices for everything from restaurants to hotels. And Krakow has so many free things to do, and many more low-cost activities, that it’s impossible not to feel good about how you spend your money and your time. Serbia remains off the radar for many travelers to Eastern Europe, but Belgrade is a growing center with innovative young professionals building the city’s attractiveness for travelers. If your travel itinerary is flexible, it is worth adjusting for when you can get the best accommodation and flight details. Of course, summer travel offers the best weather, but even Belgrade’s winters maintain above-freezing temperatures owing to its geographic location. Latvia’s capital city has a sprawling urban center packed full of Art Nouveau-era buildings, pleasantly landscaped parks, and bars and pubs as far as the eye can see. A popular destination for hen and stag parties from the UK and vacationing Russians, Riga maintains a level of affordability that seems poorly matched with its number of offerings. Whether you spend a day admiring the historic architecture or explore any number of its well-curated modern museums, you’ll feel satisfied without emptying your bank account. Zagreb is Croatia’s inland capital, but while it doesn’t have beaches or the temperate climate the coast can boast of, it is nevertheless a city with a special vibe. While its prices are increasing, entrance to museums and other attractions remains on the low end of the scale. However, Zagreb’s major drawback is that its connections to the coastal cities aren’t the most use-friendly for the first-time traveler, making it a main terminal for seeing other cities in Europe but less convenient as a starting point for seeing more of Croatia. Vilnius’ switch to the euro in January 2015 gave businesses an excuse to increase prices, but the city continues to remain very affordable. Most of its main sights are absolutely free, including Vilnius Cathedral, Gedimino Castle Tower, and the Hill of Three Crosses. Dining out is inexpensive, beer is cheap, and beautiful and lovingly handcrafted souvenirs can be had for a song.